At the The Outer Worlds Panel, the Obsidian team decided to show off some of the gameplay of the current Alpha build. They do specify that the game is still in progress, so certain things are still missing. Namely, the voice acting is missing as they haven’t gone through with adding the voices. The gameplay starts off with being in the location of Bizantium: City of the Elite where everyone wants to live, but can’t. Most people who live there are born there. However, Bizantium is starting to show some wear and tear, showing that this perfect place isn’t as perfect as everyone makes it out to be. For instance, one place is in quarantine, and another building has large hole that can see into the building. But, the big thing with Bizantium is that you are exposed to advertising and product placement the whole time. Heading to the movie studio that makes all the propaganda movies, there is a director, Maverick Johnston, who believes you to be the next big movie star, so he brings you in to audition. All the actors believe you to be an actor as well. It’s stated that the quest can be completed with dialogue, but the developers decided to shoot everyone in the audition, and Maverick Johnson loves it, then they kill Maverick. Though, it is stated that combat is not likely to happen in this town. These two options are allowed for people who might not be good with shooters, and then for people who want to just shoot things and still be rewarded for it. They come up to a restricted area and if you have high enough of dialogue options you can bribe your way in. But the developers decide to put a silly hat on a companion and send him in to fight their way into the restricted area. The companions that you can get have their own personas and can help you with either giving you more experience for dialogue or for fighting. One of the companions was good for fighting, and the other (the one they put a silly hat upon) was better for dialogue as their special attack to an enemy was more of a loud drop kick to alert everyone else. The developers showed off some of the melee weapons that the character can obtain. One being a corrosion hook that had been shown off in a previous trailer. The other is a science weapon known as the “mandibular rearranger” which had started as a bug, but they liked it so much they kept it in the game. This weapon, when used, rearranges the person’s body sizes. So it can be quite helpful or just all in all hilarious. There is a science weapon for every weapon in the game, so it doesn’t have to just be melee weapons. The final thing that they had shown off was flaws. The game monitors how much damage you take, so occasionally it’ll offer you a flaw. This flaw or phobia makes you take more damage from whatever you fear or whatever flaw you have, but gives you perk points for upgrading other things. There are possibilities of getting an addiction if a character uses too much of one product. And the higher the difficulty, the more flaws that a character can get. 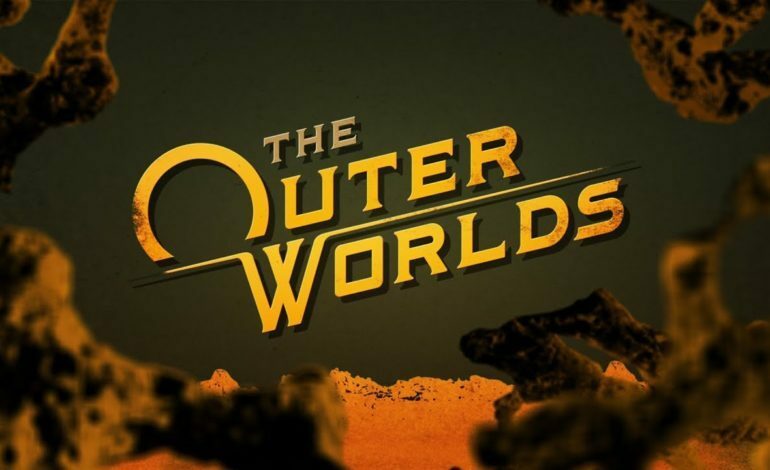 The Outer Worlds is due to come out sometime in 2019 for PC, Xbox One and PS4.